1- How would You describe yourself and your rallying career so far? I would describe myself as a competitive and determined person. I began competing in Australia in 2005 before moving to the UK in 2009 to compete in the British Rally Championship. From there my rally career has been a bit of a whirlwind, winning a Pirelli Star Driver scholarship in 2011 and now working with United Business from 2012. Rallying is my whole life and I enjoy the challenge and working hard to reach my goals. 2- How was your 2012 season? 2012 was a crucial year for me, establishing a partnership with United Business and setting a solid foundation for our 2013 season. Although we only competed in a limited program of events, it was an opportunity to gain experience with the Citroen DS3 R3T and benchmark ourselves against some of the top young 2WD drivers to show what we are capable of. 3- How important is it to have a management company behind You? Why/how did You choose yours, and in which way(s) does it assist? My goal is to be a professional driver and to do this successfully it is important to have the support of a professional management company. United Business took a chance with me last year and it’s exciting to be able to work and grow with a team who believes in you. To be able to look at my career from a more strategic perspective and having the resources behind me to be able to work towards a long term plan is a key part to realising my goals. 4- What lays behind the choice of the ERC in 2013? Do you know any of the events/opponents and what do You expect from this year? The ERC was the logical step for us. There is a great mix of events providing a real challenge for any young driver wanting to learn and improve. Ypres is the only event I have done before so this year will be about getting experience and I am looking forward to stepping up and continuing to improve. The media coverage the Championship receives from Eurosport was also an important consideration, enabling us to provide a valuable return to our partners and build my profile for the future. 5- How are You preparing for the new season? I spent 4 months back in Australia over the Australian summer where I was able to work at a rally school and compete in a few small track days to get some extra time behind the wheel. I have also been doing a lot of fitness training. I am now back in Europe spending time in the teams’ workshop with the car in the lead up to the Acores to further my knowledge. 6- Can You tell us something about your car? This year I will be competing in the Citroen DS3 R3T. It really is a great package for any young driver. Despite only being 2WD, the handling is very impressive, especially on the higher speed roads, it’s a nice feeling to drive! The flexibility in the set up is also a great point, allowing me to learn more about car set up and how to work with this to get the most out of yourself and the car. 7- How would You describe your codriver? Seb is one of the most organised and professional people I know. We have been competing together for almost 2 years now and have worked on and developed our notes together as a team, which is so important. He also has an incredible memory, on one event we had to stop for a flat tyre in a stage and when we got going again he called the next few corners just off his memory before he needed to look at the pacenote book! 8- What is your best rallying souvenir? I’m not sure if its my best, but my favourite would probably be a power steering belt which came off a little car I was rallying in Australia about 7 years ago. It was at a small grass autocross event and we were going well before the belt came off halfway through one of the runs. It was a tight course and very muddy, the steering was so heavy I was having to use the handbrake to turn. For some reason I kept it as a memento and its been hanging in my room ever since, so I’ve become a bit sentimental to it. 9. 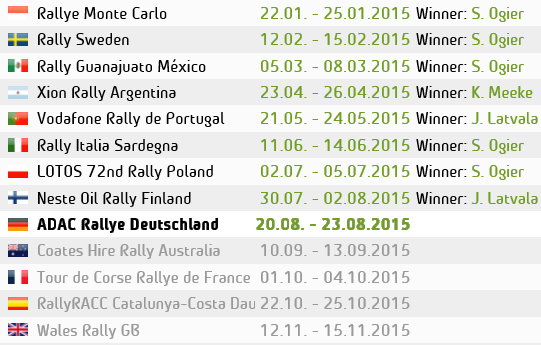 If you could choose any event and any rally car to do it in, what would you pick and why? I would have loved to do the Safari Rally in a WRC Focus. I think it would just be the most incredible adventure. 10- What are your goals for this year and for the future? My aim for this year is to be at the top of the ERC 2WD and Ladies Championships. My goal is to become a professional rally driver and working with United Business is enabling me to realise this sooner than I thought possible. Ultimately our aim is to continue to work with United Business to reach the top at the outright level.